CHECK OUT OUR CURRENT SPECIALS, JUST FOR YOU! Jumpstart your summer body with our holistic estheticians! and 20% off KPS Body Sculptor. Bring in 3 toxic, non-clean beauty products you use to our office and trade them in for 20% off all KPS Essentials products. Celebrate earth day by saving the planet and your skin this year! Now offering 15% OFF HOLISTIC SPA SERVICES, including any KPS Essentials facial service, microcurrent facial, waxing service, and eyebrow/eyelash service to any brides, their mothers, and mothers of the groom, 3 months leading up to the big day! Walk down the aisle glowing with confidence, let us make your day naturally beautiful. Please call us at 616-264-6556 or click below for more information. KPS Essentials Skincare products (photo). 20% off all KPS Essentials organic skincare facial services - valid for appointments with Lauren Ramey and Linda Berles. ***Must show valid student ID to redeem. Call us to schedule at 616-264-6556. Renu Body Sculptor product (photo). 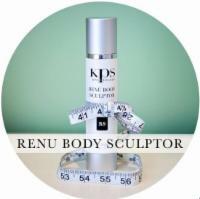 After your first KPS SLIMSAGE TREATMENT, enjoy a 20% DISCOUNT on RENU BODY SCULPTOR. Please call us at 616-264-6556 for more information. DON'T WAIT! NOW IS THE TIME TO TREAT YOUR MIND, BODY AND SPIRIT!